I’ve been listening to podcasts like mad right now! In addition to my all time favorites (see previous podcast posts), I’ve just enjoyed a few episodes of the following new ones. I’ve been enjoying the break from politics into something new, and the sound of rich voices in my home that are not part of a screen. Perhaps you want to explore these as well. 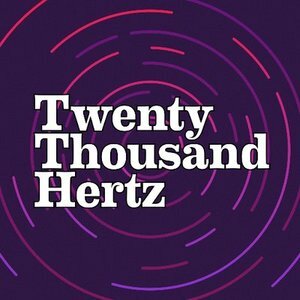 20k Hertz has a superb episode about the THX sound that plays at the beginning of movies since the 80s. This was the brain child of George Lucas, who was looking for his new movie Star Wars to be played with great sound across the country. Serial has had 2 previous seasons. The first season was amazing, a crime murder mystery. The second season was less fine. This eason is a deep dive into the criminal justice system in America, and it is fascinating what she is finding. Slow Burn is a new-ish podcast about Watergate. It’s a long form podcast, with tons of information that puts this story in the context of characters and people and drama. It is spectacular.